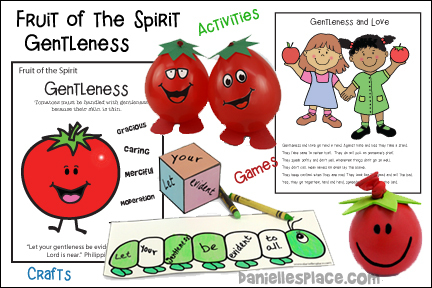 In this lesson Squirmy Worms learns about gentleness. 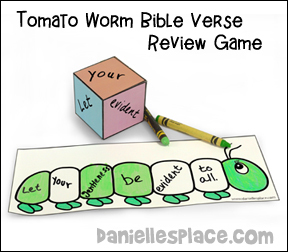 Children learn how Paul became a gentle person after he met Jesus on the road to Damascus. Gentleness and love go hand in hand. Against hate and lies they take a stand. They take care to never hurt. They do not pull on someone's shirt. They speak softly and don't yell when things don't go so well. They don't call mean names or ever lay the blame. They keep control when they are mad. They look for the good and not the bad. Yes, they go together, hand and hand, spreading hope across the land. Bring in cut up pieces of tomatoes and let the children taste them. You may also want to bring in some sugar and let the children dip their piece of tomato in the sugar. 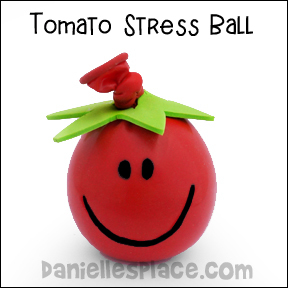 Talk about tomatoes, how soft they are and how you have to be very gentle and careful handling tomatoes because they bruise easily. Bring in apples, pears and other firmer fruits and compare them to the tomatoes. The idea is to show the children that they have take more care when they are handling the tomatoes. 1. Before class cut tomato leaf shapes from green craft foam and punch a hole in the middle and write the Bible verse or the word "gentleness" on the leaf with a permanent marker. 2. Help your children fill up red balloons with flour using a funnel. Place the funnel in the opening of the balloon and place flour in the funnel. Use a pencil to push the flour down into the balloon. 1. Before class write one word of the Bible verse on each side of the die. If the verse has more than six words, write more than one word on the sides. 2. Print out the worm game cards. 3. Before class go over the Bible verse. 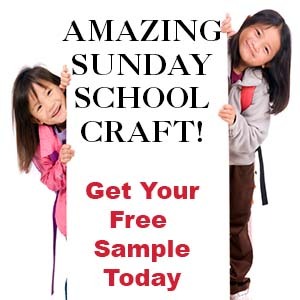 Write it on a sheet of paper or on the board to help younger children. 4. Give each child one of the worm patterns. 5. To play children take turns throwing the die. Older children write in the word they rolled in the appropriate space on their worms. Younger child color the appropriate segment of the worm. If a child rolls the same word twice, he doesn't do anything on his turn. 6. Keep playing until a child has colored in all the segments. Place your children into teams. Have a relay race between the teams. 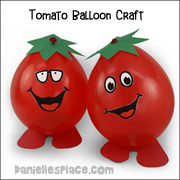 Each child places his tomato balloon down in front of himself on the floor and uses a newspaper bat to gently push the balloon across the floor. If the balloon falls over the child has to start again. Emphasize that they have to be gentle with the balloon or they will fall over. Instead of using a rolled up newspaper you can have them get behind their balloons and blow them forward using a straw. Play like "Hot Potato" except use a tomato. Tell the children that they will have to be gentle because tomatoes are a lot softer then potatoes. 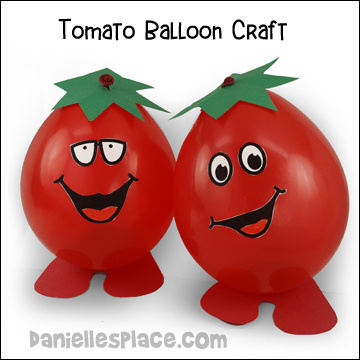 Have your children throw red water balloons (tomatoes) into a bucket or other object. Remind them that they have to be gentle with the balloons or they will break. If a child's balloon breaks, he has to say the Bible verse. After all the children have had a chance to throw their balloon, move the bucket farther away from the throw line. Keep playing until all the balloons have broken except one. The last child holding an unbroken balloon wins. Discuss times when it is hard to be gentle.